After The UN Resolution What? For years together, three primary entities; UN, Tamils in Sri Lanka and outside and the Sri Lankan government more reactively than pro-actively were engaged in getting the Resolution passed. For plain sailing, sails were trimmed selectively. Now throwing the trimmings to the waves, vision needs to be riveted on navigation: direction, speed and avoidance of shoals. With UN surveillance, no shipwreck is anticipated. UN High Commissioner Zeid Al Hussein has inspired confidence as an able helmsman. With belief in ourselves and trust in the UN and the HC to be constant like the North Star, we can nurture a positive frame of mind. 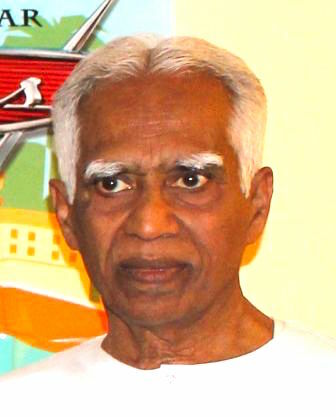 What is Primary by the Tamils? Recognizing that the phase of post war coldness is over after six years, the inevitable rebalancing act needs to be embarked upon. Stated, declared, emphasized and reiterated even ad nauseam, has been for the Tamil leadership to institute a ‘Think Tank’. To undertake studies immediately, to continue eternally, this mechanism is multi tasked. It has perforce to be multi- disciplinary. Drawing personnel from the world of scholarship, specialism and expertise is unavoidable. In 1971, the last year of credible population census, Sri Lankan Tamil population was: 11.22% of the nation’s total. In 2011, the latest population census, Sri Lankan Tamil population was: 11.15% of the nation’s. It is known thoroughly that in the 40 year period, emigrant Tamil population together with their natural increase is an estimated 900,000 (Nine lakhs) and no less. In the same 40 years, violent deaths of militants, their associates and those caught in between number an estimated 150,000 if not more. Tamil population in Sri Lanka depleted by 1.15 million in 2011, remains at the same level as in 1971 as per the report of the Department of Census and Statistics ie as endorsed by the government. It is asserted by this writer that the census statistics are falsified. A challenge is thrown before anybody to establish otherwise. Why this designed mischief? On such data are argued the statistics of killings (the rot of 7,000 deaths in the final phase against a probable 70,000 or more; so with ‘missing’ and ‘disappeared’; and to minimize Diaspora strength to a miniscule 0.07% or 14,000 in several countries in all continents. So the UN need not take the Diaspora seriously). What a travesty! Onus is upon the government to correct the falsification. No rigmarole will hold water. The above is just one of several. Some of the Central Bank statistics; GDP, Per Capita Income, FDI information etc. are disbelieved. Omitting or refusing to publish ethnic classification in Public Sector employment is an effort at obfuscating the nation and the international community. Glaring disparities when brought to public knowledge, will blazon forth the iniquities against the Tamils and other minorities. Even the majority community will be aghast at the injustice. When statistics are tendentiously falsified by the government as a means of covert attack on the Tamils, independent study alone can yield results on their gross marginalization. The burden of doing it is on the shoulders of the Tamil leadership; now the TNA. There is an unforgettable scene in the film; a portrayal in life’s happenings and a vivid lesson. The head of the family immerses the ashes of one deceased, in a pond. While sitting on the bank he watches the ripples receding in ever widening circles and disappearing from the pond – of memory. 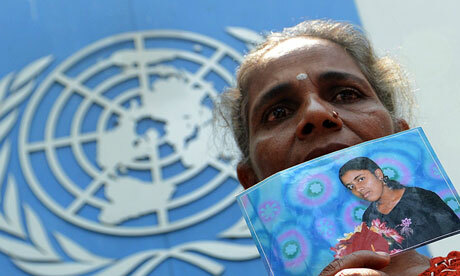 Who will deny that 30 years were not a tragedy for the Tamils? But who can question that for such reason we can neglect the future while brooding about the past and resurrecting only sad memories? We Tamils have to turn a new leaf. Tasks for the next quarter century are enormous. Burden on the Tamil leadership is huge. The populace has a share in it. “Statistics don’t bleed; it is the detail which counts”- Arthur Koestler. Many would have discerned this truth. It is for the TNA to marshal the statistics and to mobilise details. Violent deaths of tens of thousands have to be accounted for, governance responsibility acknowledged, next of kin compensated and rehabilitated. The same principle would hold for the neglected category of ‘disappeared’. The numbers are vast. What is this nebulous category? An undefined group of ‘missing persons’ together with those killed and ‘bodies disposed of as per regulations’. The crippled and the injured too are in tens of thousands. Orphans are in similar numbers. Houses to be rebuilt exceed one lakh. Agriculture to be restored to its earlier position is a task by itself. So is the restitution of Fisheries affected for 30 years and more. The most irksome in this list are, failure to: (1) Restore land and property taken over by institutions of government; (2) Resettle those displaced, along with restitution of their economic pursuits. May it be noted that in the aftermath of 1958 riots, there was heavy military presence in Jaffna with hardly any requisition or acquisition of land or property. A situation of war-less-ness warranted no such action, though legal provision existed. The same no-war situation has existed for six (6) years from 2009, for a return to normalcy and restitution of usurped property. Default is the performance by government! The above is not a mere list of needs. They indicate the areas, their dimensions and ramifications to be studied extensively and in depth. No one affected individual can be ignored or left out. For the TNA in the forefront of Tamil politics, this research and analysis needs to be it’s principal preoccupation in the ensuing years. Data presented in dissertations have to be irrefutable. Convincing reports should compel action in Colombo and in Geneva. Needs have to be assessed in monetary terms, finances solicited and financial provision made for annual programmes. Vigilant monitoring has to thwart default, detraction and hijacking to non-affected areas or entities. The borders of Sri Lanka do not confine the Tamil problem any longer. The problem has breached all barriers, reached for state capitals and has made Geneva its principal abode. Yet Colombo is where the action is. It is here that much of the drama produced in the North and South will be enacted. The TNA’s obligation inside parliament and in areas of heavy Tamil residence in the country cannot be stressed more. The Special Counsel’s Office, Of Commonwealth and foreign judges, Defence lawyers, Authorized prosecutors and investigators. Setting up of an Office for Reparations. Setting up an Office of Missing Persons. Setting up a Commission for Truth, Justice, Reconciliation and Non-recurrence. The above apart is Devolution, which is now embodied as Article 154 in the Constitution of Sri Lanka. What now obtains may be decentralization or quasi-devolution. To give some substance even to that, finances and financial devolution are needed. This writer has pointed out in his article of 8 September 2015, how Modi has set the pace for unification at one stroke by increasing allocation to states from 32% to 42%. Without a similar far-reaching change, 154 or 13A will remain without substance. Taking note of the incalculable damage to life and property, the UNHRC in it’s Resolution has pointed out the necessity of an ‘Office for Reparations’. This is an extremely meaningful exhortation. May it be remembered that Germany’s reparations payment from 1950 is extending to 2020. One-fourth the duration could be the prescription for Sri Lanka. This writer in an article of March 6, 2013 wrote, “Without losing time, reparations have to be identified as the potent instrument for onward movement”. In a subsequent article dated March 15, 2013 the writer said, “The beneficiaries will be across all divides, ethnic, religious or class. It is for those in governance to get a programme crafted, to finance it and to see it through”. It may be seen that Reparations itself is a massive undertaking with huge ramifications. This is not to suggest that others are less so. These are matters for specialists in Law, History, Economics, Financial Administration and International Relations. Let the UNHRC compose the panels with the most equitable ethnic balance and foreign local mix. Composition of teams with attention to verisimilitude would mean much. Keeping the whole process in its trajectory is among the essentials. Principal stakeholders – SL government and Tamils – will exercise widespread oversight. Vigilance without relaxation needs no emphasis. 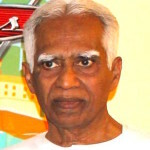 Turning out to be the primary, legitimate representative of the Tamils in Sri Lanka the TNA has a grave obligation to discharge with fidelity, its responsibility by the Tamils and the citizens of Sri Lanka. It has the mandate for it. The diaspora too has hitherto done its part quite indefatigably. To use Barathy’s query said in a different context 100 years ago, “They may have their differences, but are they not brethren?” The truth of it is beginning to manifest. “The Transnational Government of Tamil Eelam (TGTE) will form an International Team comprising International Judges, international lawyers and Human Rights specialists to monitor the implementation of the present UN Human Rights Council Resolution on Sri Lanka. Details of this Committee will be announced on the 2nd of November 2015.” Quite correctly emphasis is placed on legal luminaries.